Home-baked cookies. As the Norwegians say: made of butter and love. Sometimes a person just needs a homemade cookie. Do you know what I mean? There’s only one problem: the clean-up. I know, I know – there’s clean-up with anything that you do, but cookie trays can be particularly evil. 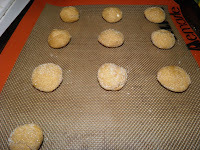 Especially with cookies that are baked when coated with sugar like these. It tends to caramelize at the edges and stick. 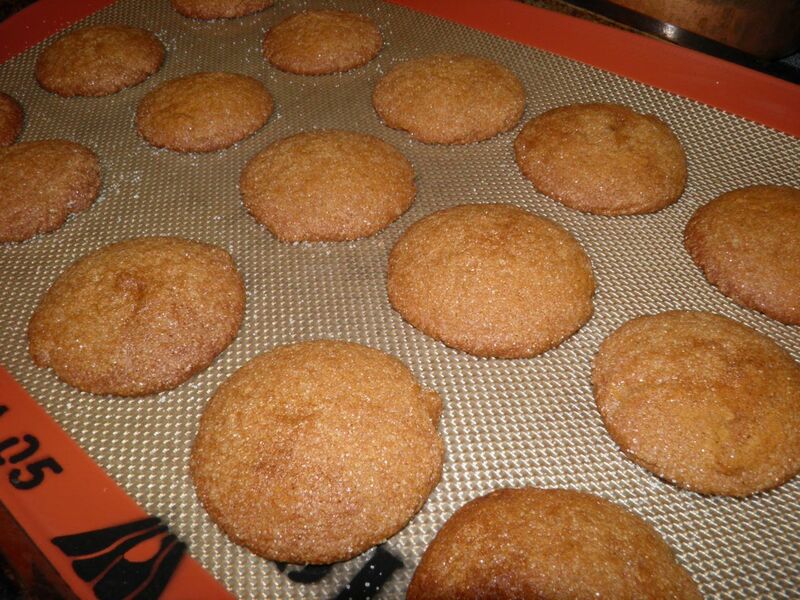 There is a product that can make your cookies release easily and clean-up of your cookie sheet a breeze. It’s the silicone pan liner. 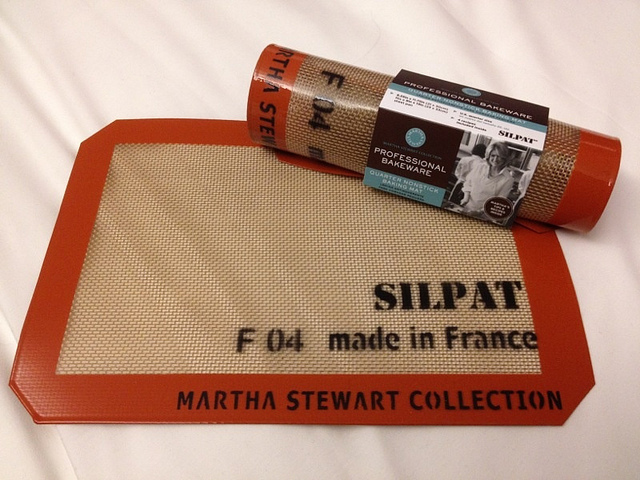 The most famous of all the brands is Silpat®. It’s a timesaver for sure. 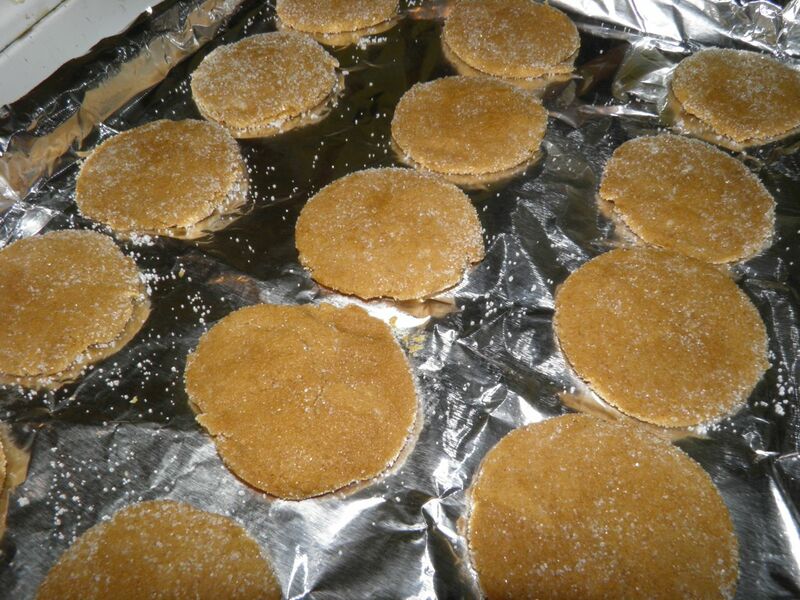 Silpat® is a company that produces silicone pan lining sheets that you place in the bottom of your cookie tray. They are a combination of fibreglass (hmmm…) and food-grade silicone. Just place your dough/batter/whatever on it and – presto – after baking it releases immediately. Silpat® products are FDA, NSO and even Kosher certified. Why Kosher is beyond me really… As far as I understand it has more to do with food preparation techniques and combination than anything else. If you wish you can read more about Silpat® HERE. for 1/2 hour before shaping. Silpat® liners are the “Cadillac” of silicone pan liners, and as such you pay a premium for them. Currently a 11.5” x 16.5” sheet costs about $30 online at Amazon.ca. That’s about the same as actual stores in the region as well. I bought mine at Winners for about half that cost. So look there first. There are many other brands, and many other shapes you can buy as well. Cupcake moulds, loaf pan liners, tube cake pans… you name it. Not only do they make cleanup easier, but storage as well. Just roll your bakeware up and jam it in a drawer. These type of liners certainly are time savers in some cases. I love the Silpat® we have. And for sticky things – like this cookie – they are a godsend. These are pretty good cookies. You roll the dough into balls, toss in sugar, and then press flat with the bottom of a drinking glass that has been dipped in sugar. Mmmm….. 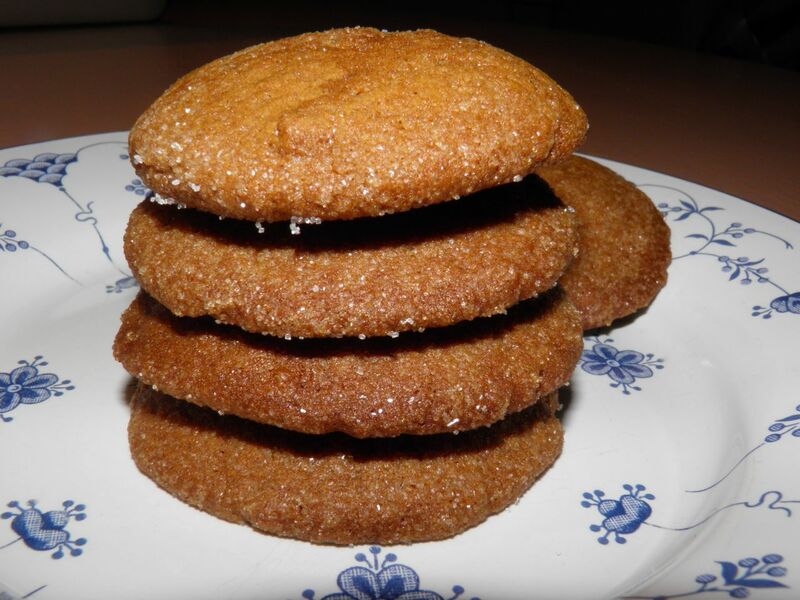 I can remember my Great Aunts Hilda and Nettie making “pressed” cookies much like these when I was very young. Good memories from what seems like yesterday (but sadly wasn’t…). I only have one Silpat® liner, so for my second baking sheet I lined with foil. It did work, but they still stuck to it, and it ripped a little when trying to get a spatula underneath to remove them. So the silicone liner wins. One by one, roll each ball in sugar. Press flat with the bottom of a glass. Preheat oven to 350°F. Line two baking sheets with parchment paper, silicone liners or foil. Beat the margarine in a mixing bowl until soft. 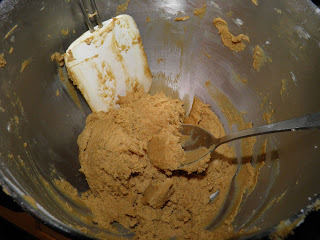 Then add the molasses and sugar and beat well to combine. Add the two eggs to the molasses mixture. Don’t worry if it looks like they’re not mixing in. They will when the dry ingredients are added. Combine the spices, salt, flour and soda. Slowly add to the wet mixture until totally combined. The dough will be quite soft. 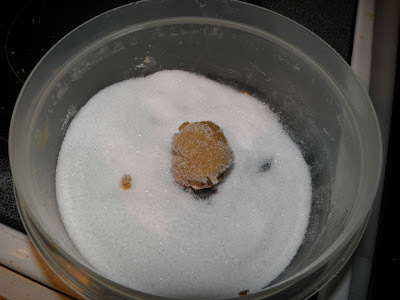 Place the remaining 1 cup of sugar in a small bowl. Drop the batter into the sugar by 1/2 tablespoonfuls. 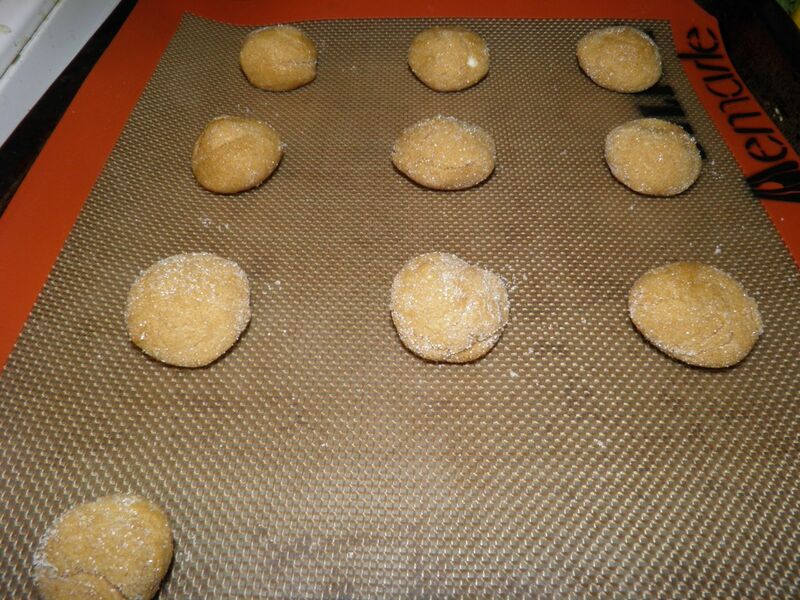 Roll in the sugar and place on the baking sheets. With the bottom of a glass dipped in the sugar, press the cookies flat. Bake for 15 minutes. Remove to a rack and let cool. The cookies will crisp up slightly as they cool.